I’ve been reading a book my daughter lent me, Howard Zinn’s The Twentieth Century: A People’s History, which consists of the latter parts of his well-known A People’s History of the United States with additional chapters extending the story into the 1990s. Because the People’s History has been on my reading list ever since it first came out—a mere 34 years, so I can be excused for not getting to it yet—I’ve been eager to open this more condensed version, and thus it’s sat on my dresser for half a decade at most. It’s not, in fact, what I expected—not an overall history from a populist point of view but essentially a summary of protest and resistance movements over the ages. That’s interesting enough in itself, but Zinn’s bias annoys me at times. For instance, there’s a running implication that, when piecemeal reforms were implemented, the business and political classes, including liberals and progressives, saw these primarily not as extensions of human rights, justice and compassion but as ways of easing the pressure for more radical change. If “the government” and “the system” were really so cohesive and purposeful, we might have fixed them by now—or at least our protests would be a hell of a lot more focused. I wouldn’t defend the bully Roosevelt or his offensive speech, but to understand his reaction, the reader should be told that the New Orleans affair began with the assassination of the city’s police chief in 1890, and the perpetrators were assumed to be members of a well-known Italian criminal gang. This was the era when the word “Mafia” surged into public consciousness, and the jurors who acquitted the accused were popularly thought to have been bribed with Mafia money. None of this background excuses the lynching, of course, or Roosevelt’s ethnic disdain, but when we take the context into account, he becomes less of a caricature. Maybe he believed that all eleven men lynched were hardened criminals; I don’t know, but I wish Zinn had taken the time to fill in some gray shadings on his black-and-white sketch. In spite of these reservations, I’ve been enjoying the book a lot, and learning from it. We tend to forget how persistently, throughout American history, citizens have resisted the governing elite, even in times we imagine as quiescent. 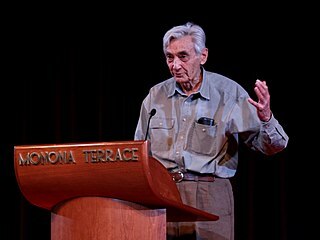 “The memory of oppressed people,” Zinn writes, “is one thing that cannot be taken away, and for such people, with such memories, revolt is always an inch below the surface” (Chap. 6). All too true—though not, I think, uniquely American. Defenders of our clumsy foreign wars might dispute the ratio, but the point is inescapable. That passage was written in the 1990s, and it rings even truer today. Yet my pessimism argues that we’ll never progress beyond the “might be ready” stage. It’s a perspective that’s sorely lacking in mainstream media, and demands to be heard, if we can get the earbuds out long enough. My sister has been using the People’s History as the main textbook for her grandson’s home-schooled Social Studies class. Glad to hear your grandnephew will be a revolutionary! My daughter says that (a) she’d forgotten she lent me the book and (b) it now seems “kind of dated,” “like maybe it was a popular stance a couple decades ago to describe a battle between ‘the system’ and ‘the people,’ but now that seems really simplified.” Remember when all university professors under 50 were Marxists? I never cared for Marxists much when they existed, but now that they’re gone I kind of miss them. Not their rhetoric, though — I hated those grandiose abstractions, and my praxis was always either strained or sprained.